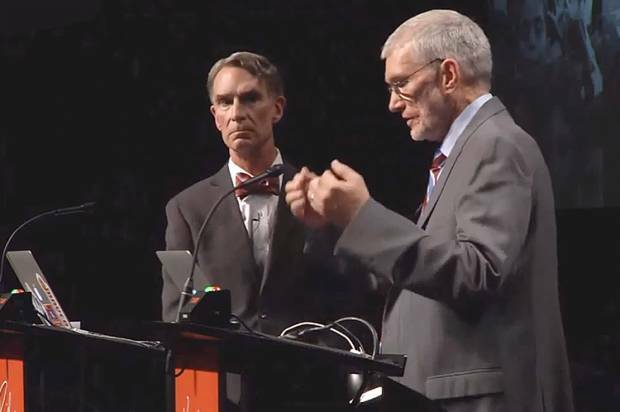 You may recall watching or hearing about the creationism vs. evolution debate with Ken Ham and Bill (the "Science Guy") Nye on February 4th of this year. It has now been viewed by more than 2.5 million people through You-Tube alone and has generated or perhaps better stated, reinvigorated, the creationism vs. evolution debate. This post and Ham's short response is however not about the pros and cons of the debate. Note that with humility Ham speaks the truth, but does not attack back, which is the response we should all practice and strive for (Romans 12:19, 2 Timothy 2:24, Ephesians 4:15). It is easier said than done, but it is a part of our calling nevertheless. I would love to hear others views on this.